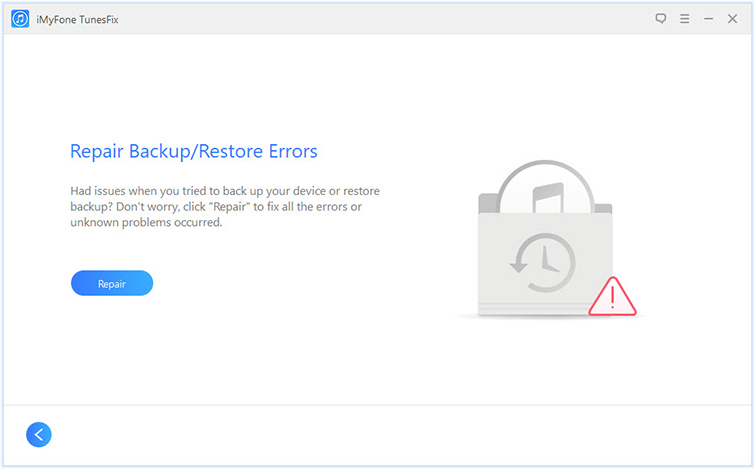 [Solved] How to Fix iTunes Error 4013 "Could Not Be Restored"
Downloading a corrupt file or not completing the installation process of iTunes. Virus infection that has damaged the window. Corruption that emanates from a window registry of a recent iTunes related software change. iPhone restore error 4013 can be a slightly serious problems although there are very convenient ways to fix this problem. How to Get iPhone Error 4013 Fixed? It gives you an opportunity to repair backup and restore errors. It fix iTunes errors without having a fear of your data been deleted unknowingly. It can rebuild iTunes Library from your iPhone. It can optimize iTunes by cleaning iTunes files. Step 1: Launch iMyFone TunesFxi on your computer. It will auto-detect iTunes and its components. If they are complete and effective, you will be directed to the home interface. Step 2: Then you can choose the “Repair Backup/Restore Errors" mode as error 4013 happens while restoring. 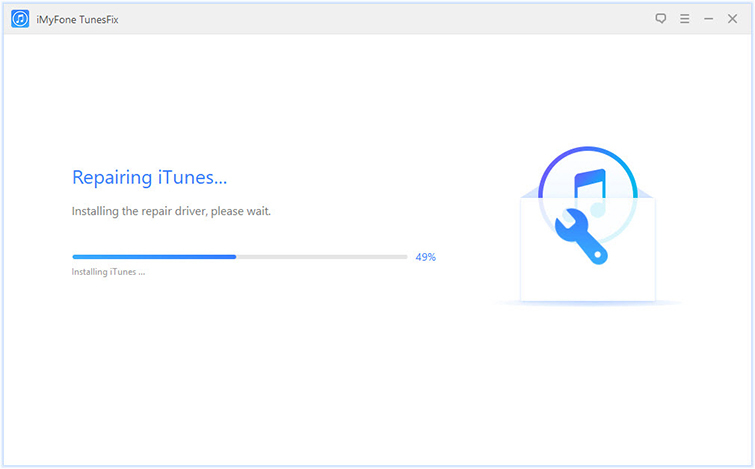 Step 3: To start repairing iTunes errors, click "Repair" button. 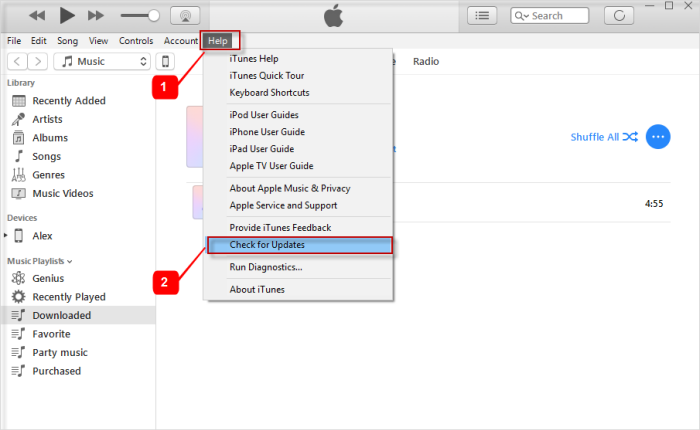 Step 4: If you still can't fix the issue, you can try the "Fix Other iTunes Problems" mode. Just feel free to download it and have a try. Sometimes you might encounter this error when your iTunes need an update. 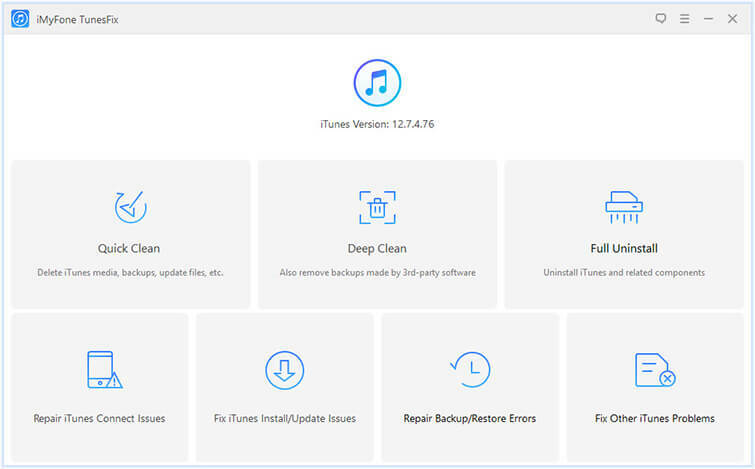 It may be that you have not updated your iTunes to the latest version or perhaps it has been corrupted and this may be what is causing the iTunes error 4013. In this case, you should update it. To do so, on your iTunes go to Help, then check for updates. If there is a new version available, download it, this will most likely fix the problem. 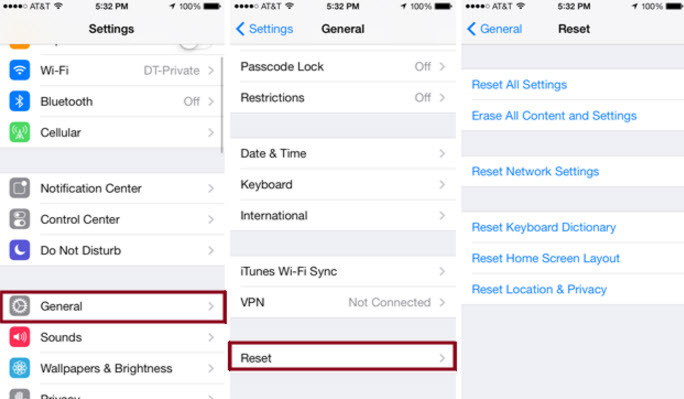 If the first two solutions don't help you in fixing the trouble, you may consider resetting all settings on your iPhone. Although this method puts you at risk of data loss, you can back up your data to iCloud. Step 2: Tap on settings, then go to General > Reset and click on Reset All Settings. Sometimes, an iPhone error 4013 occurs when there isn't sufficient space on your device for a new update. So be sure to make enough room to avoid this error. 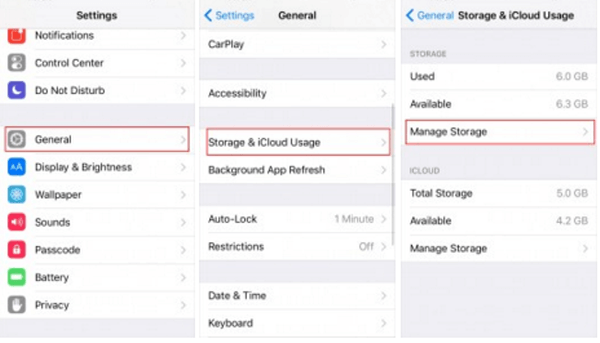 Step 2: Then click on Manage Storage, you will see the list of apps and space that has been occupied. Step 3: Clean up space by deleting these apps and reinstalling them. Doing this may not get rid of the caches at once but repeating it will go a long way in clearing your storage space. To solve this error, you can also try factory resetting of your device. Step 1: Ensure you've backed up your iPhone. Step 2: Navigate to "Settings" > "General" > "Reset". Step 3: Click on the "Erase All Content and Settings." Step 5: Tap on "Erase iPhone."